on your iPhone or iPod. Chordelia: Triad Tutor teaches you to recognise the most important types of chord in a fun, simple way – even if you’ve never learned about chords or music theory before. Do you sometimes struggle to tell which chords in a song are major or minor? Have you heard about chord inversions, but don’t know what they are, or how to tell them apart by ear? Are you looking for a way to spice up your song-writing and create more interesting, compelling chord progressions? Chordelia: Triad Tutor teaches you the 4 core types of chord you need to know to tackle these real-world musical challenges. By learning to recognise major, minor, augmented, and diminished ‘triads’, you’ll boost your musical creativity and perception, and build a foundation for learning more advanced chords like seventh chords, extended chords, and suspended chords. Identify all these chord types, whichever inversion is used – and know which inversion it is! Click here to download Chordelia: Triad Tutor from the App Store. Chordelia: Triad Tutor uses the same approach as our best-selling interval training app, RelativePitch, which has helped thousands of musicians learn to hear intervals easily and reliably. You’ll get the information you need for each topic, and can then train and test your ear to learn the material at your own pace. Using the app for even just five minutes a day will noticeably improve your chord skills! If you get stuck, the lessons can be adjusted to meet your needs and help you pinpoint difficulties. The app automatically tracks your progress too, so you’ll know that you’re improving. Maybe you’ve spent some time training intervals with RelativePitch and want to extend your skills to chords. Or perhaps you’re an experienced musician who wants to make sure they have the fundamentals rock-solid. Or you could be a complete beginner who wants to understand what makes chords tick. A great app for getting your ears around triads. Like Relative Pitch, it makes ear training fun. This is another brilliant app from Easy Ear Training; well designed, good looking, stable, inexpensive and thoroughly useful. I’ve been training and testing for the past few days, and I’ve improved my knowledge of chords more quickly than any other method I’ve tried. Part of this is undoubtedly due to the fun factor, as this is truly the most entertaining way to learn something that has previously seemed a bit tedious and dry. Fantastic app, I can’t recommend it enough! responsive service”,Ear training takes a lot of practice but this app has streamlined the process quite a bit for me. Pro version lets me pick and choose whichever chord forms (and inversions) I want and drill and compare endlessly. [I had some issues installing on my prior phone and the developer was very responsive. ] App works perfectly on my new 5s. It currently plays piano sounds but would love if it also offered guitar. All of the Easy Ear Training apps should be on the required list for musicians. This one is no exception. Definitely worth buying. After only a few weeks I can hear progress in my ear training. A fantastic app for improving your aural skills! Aggiungete accordi dalle 4 alle 7 voci…sarebbe SUPER!!! Simple and effective. Goes great with interval trainer and step and a half. 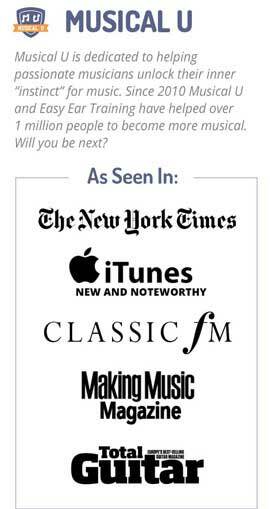 I am a conservatory trained musician and I think this app is really great! I especially like the option of drilling the chord inversions. Great job! I can now distinguish between dim and aug triads much better. Very valuable little app! Very helpful! Very easy to use. This app has helped improved my playing by improving my ability to hear chords better. Very happy students all use too! Worth ten times the price…seriously! A good find which is easy to use and effective. Sound quality is great and I feel it’s already made a difference to me. Thanks! Another great professional ear training app! The sound quality on this app seems better than the previous Relative Pitch and the whole UI is user friendly. Good that in training mode you can read as it plays. I though I was doing ok but only got 4 of the first 6 I tried. It does teach you to listen more carefully!! It’s both fun and informative. Yet another brilliant app from Easy Ear Training. Already learning so much! 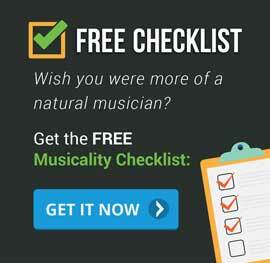 simple and effective”,This is a great tool for helping listeners and musicians get more out of their love of music. It’s simple and easy to use and a bargain.